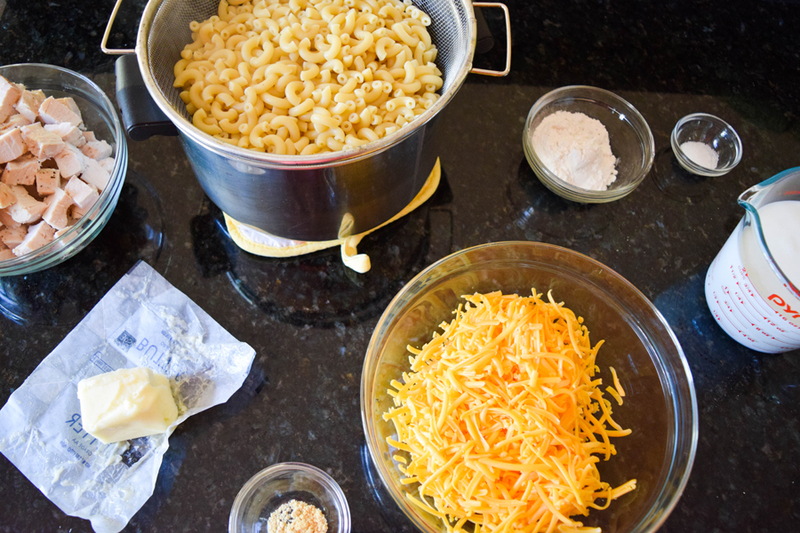 Mac n’ Cheese is a classic dish that every family has their own version of. In my house, the recipe is straightforward and delicious with the creamiest, easiest homemade cheese sauce and a golden brown crumb crust. 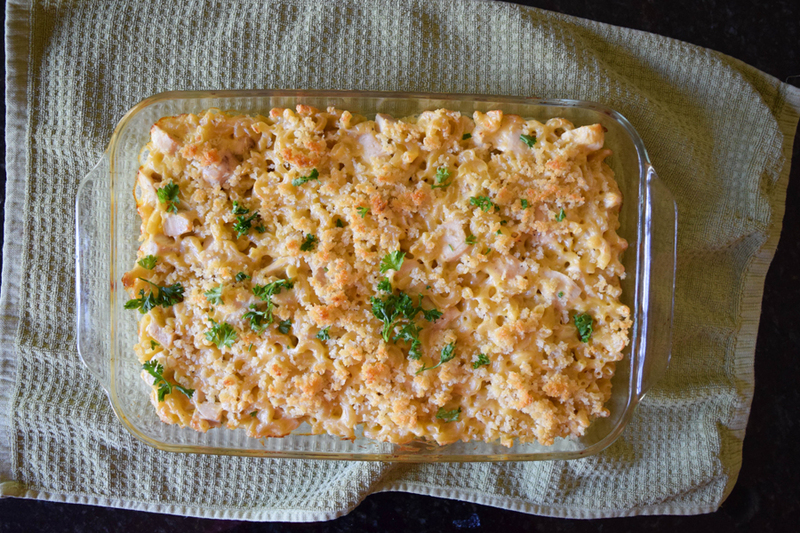 It is perfect as a side dish but when I want a quick dinner I add roasted chicken to the Mac n’ Cheese to make it even heartier. 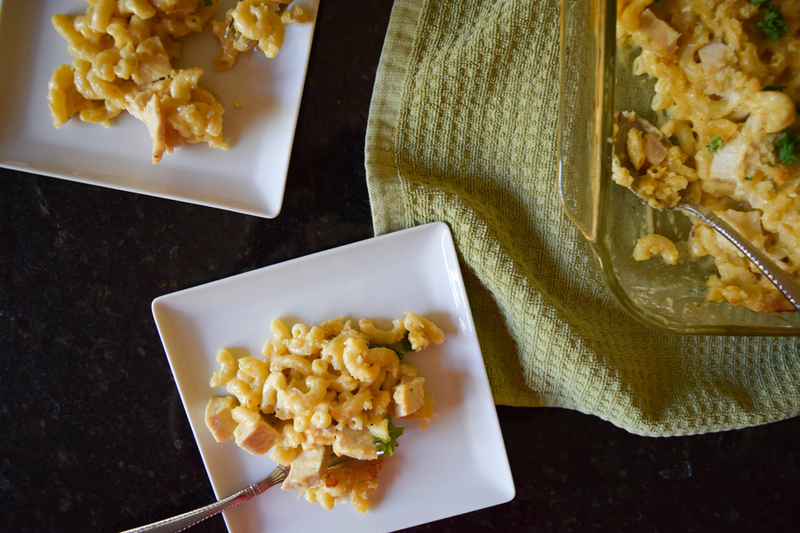 Use your farmer owned ingredients to whip up this delicious meal in a snap! Place the chicken breasts on a sheet tray and sprinkle with salt and pepper. Place in the preheated oven and roast until the internal temperature is 160° F. Set the chicken aside to cool and then dice into cubes. Cook the pasta based on box instructions. Drain and set aside. 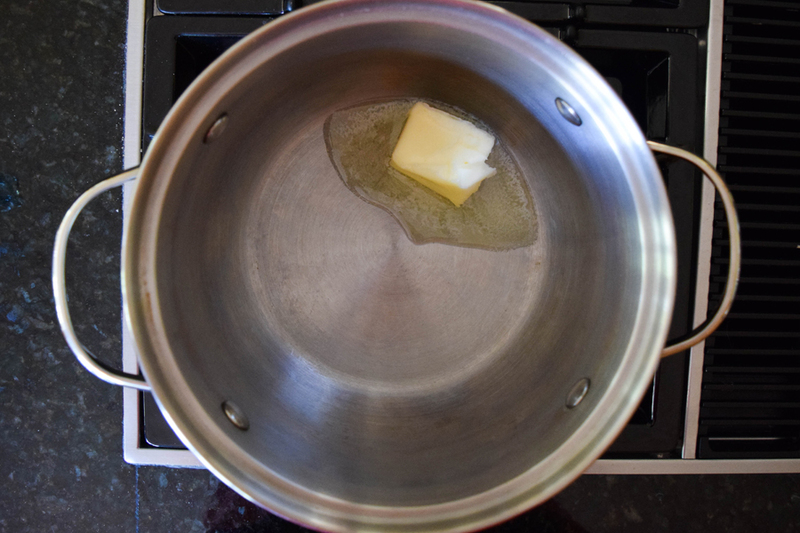 To make the sauce, melt 4 tablespoons of butter in a large saucepot. Whisk in the flour. 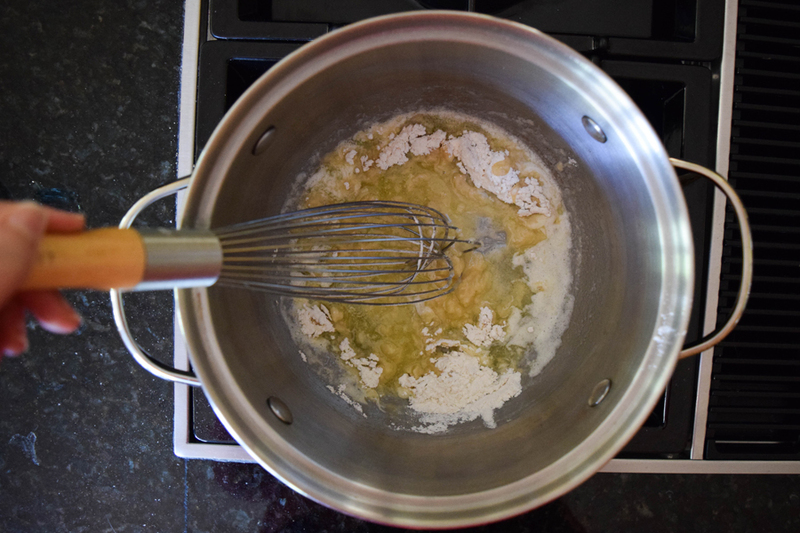 Cook while constantly whisking until the flour and butter mixture is bubbling and a pale gold color. This will take about 3 minutes. 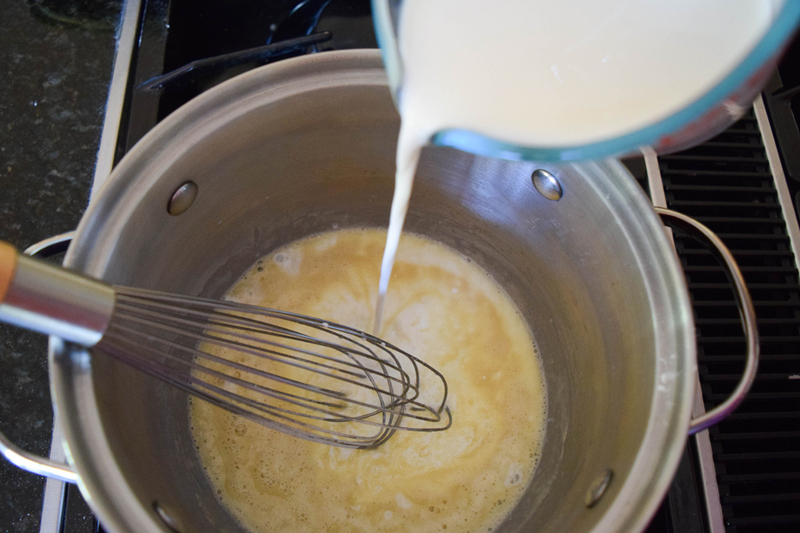 Whisk in the milk. Stir to make sure all the milk is incorporated into the flour. 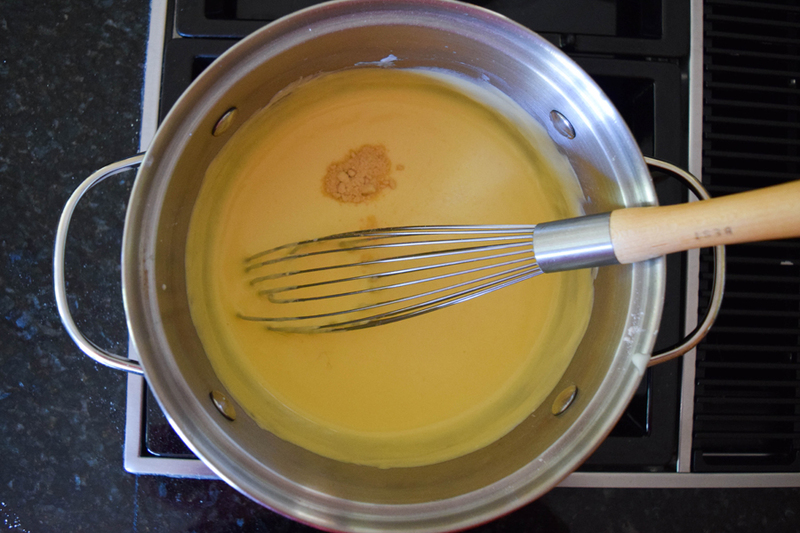 Cook the mixture, whisking occasionally, until the sauce has thickened. 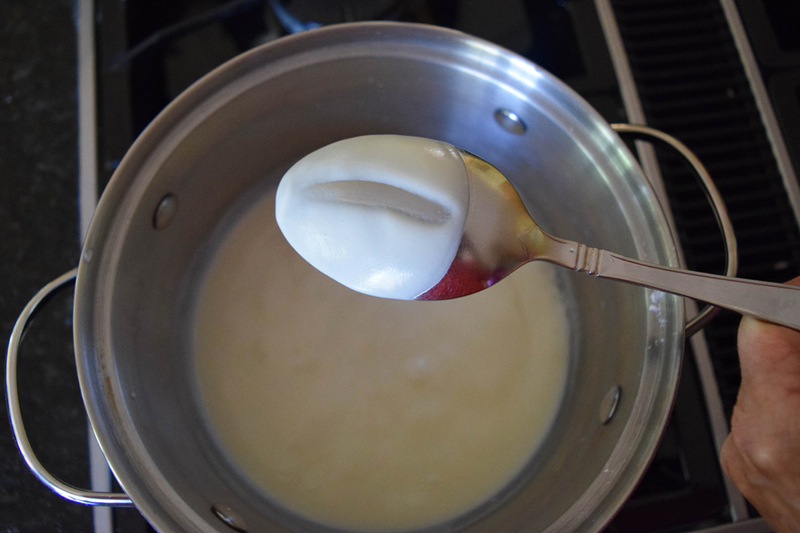 To test, dip a spoon in the sauce and draw a line across the back of the spoon with your finger. 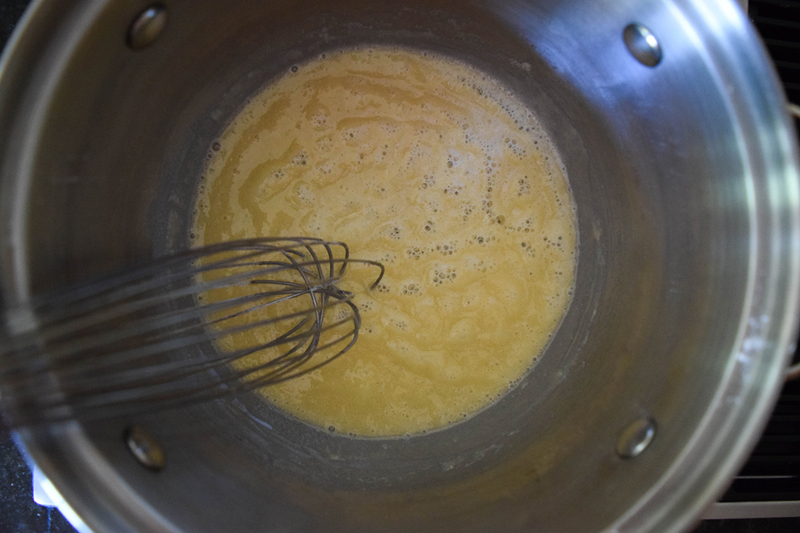 If the line stays solid, the mixture is thick enough. 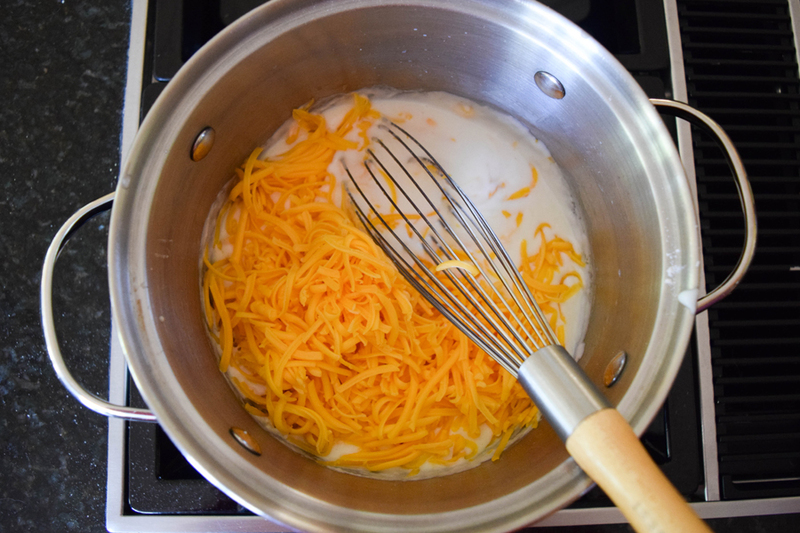 Stir in the cheese and whisk until the cheese is fully incorporated. Add the salt and mustard and taste for seasoning. 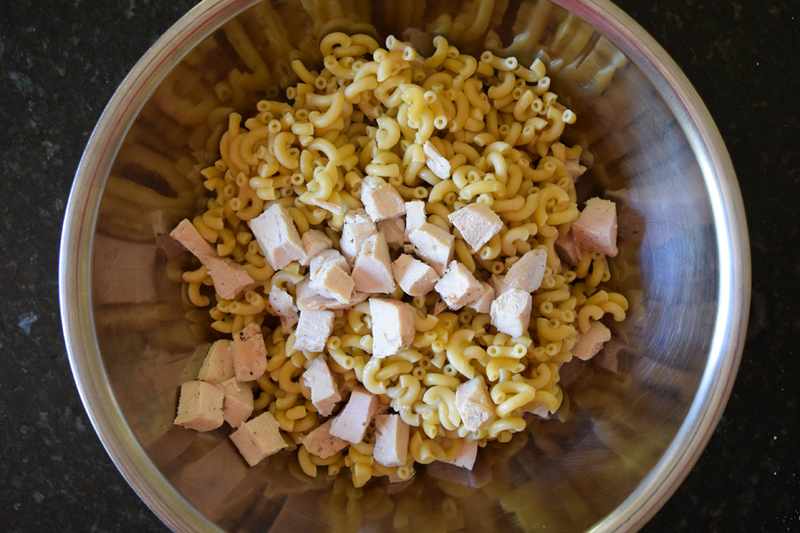 Place the macaroni in a bowl and toss with the chicken. 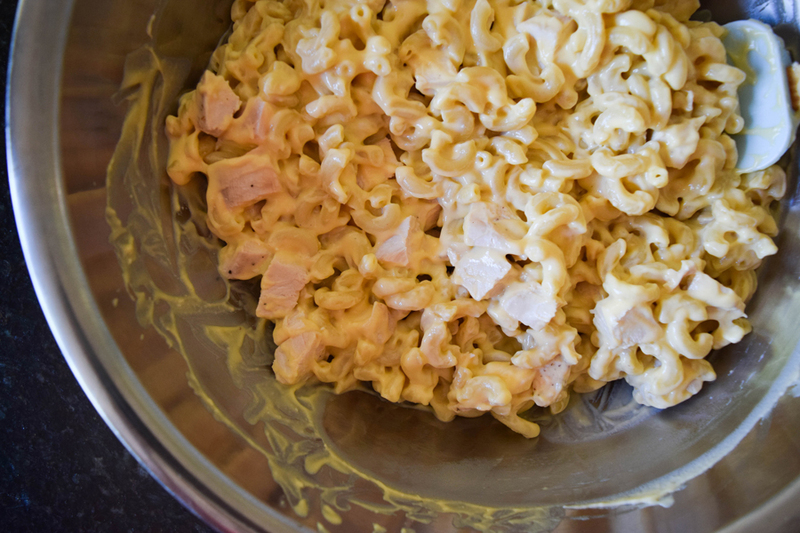 Add the cheese sauce and toss to combine. Pour the mixture into a greased 9 x 11 baking dish. To make the topping, mix the breadcrumbs and the melted butter. 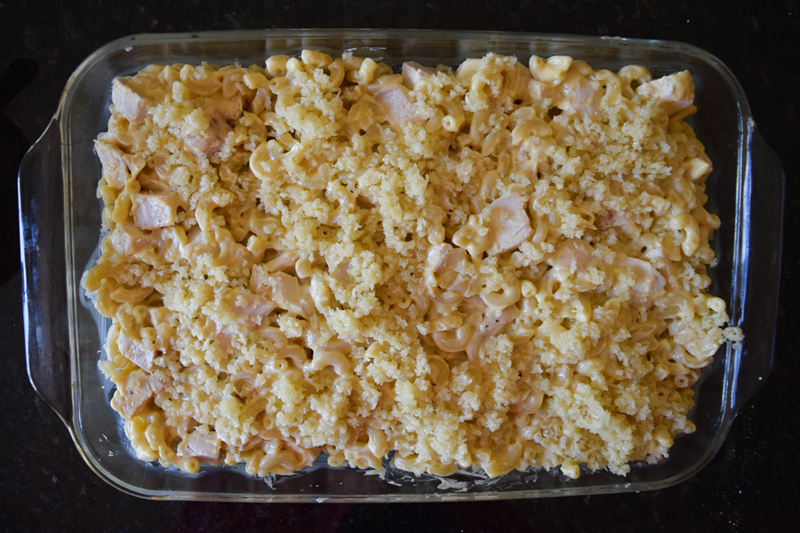 Sprinkle the breadcrumb mixture on top of the mac n’ cheese and place into the 350° F oven. 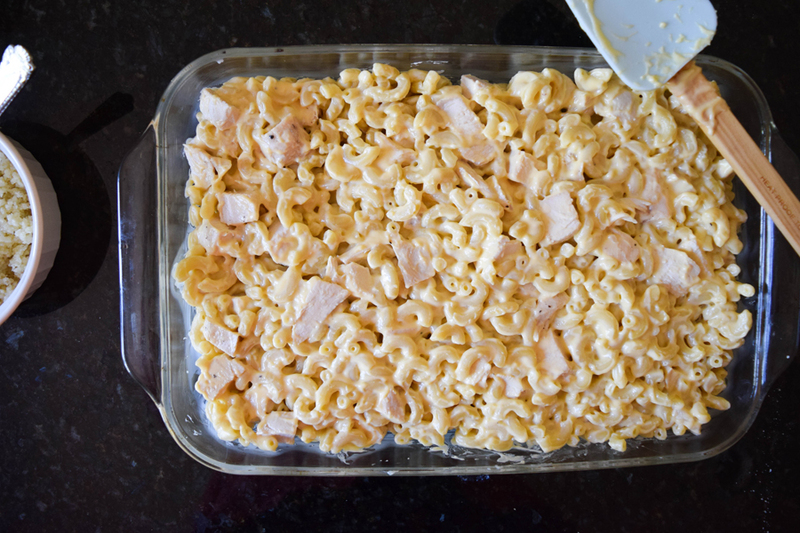 Bake for 20 – 30 minutes until the mac n’ cheese is bubbly and the topping is golden brown. Sprinkle with chopped parsley. Serve immediately.